Bryant- Buchanan Productions, Inc. presents “When the Soul of a Woman Cries”, an internationally acclaimed play appearing at the Savannah Civic Center beginning January 17-19, 2014 for 5 stunning performances. Show times are Friday, Jan 17th 7pm; Saturday, Jan 18th, 1pm & 7pm; Sunday, 1pm & 6pm. “When the Soul of a Woman Cries” is a wonderful family production speaking about real family issues that make you cry and those that make you laugh. Come view this partial musical performance and celebrate Derek Jones top model, former officer and combat veteran, leading man in numerous films such as the Jackie Robinson Story, and supporting actor in TV series like the “Game”- as he plays Nat, the leader of this wonderful family portrayed- -the Fitzpatrick Family. Come Celebrate Me Ma as she does everything she can to save her family, as a praying woman reliant on her faith as she combats some of the most unbearable life experiences as a mom, mother and woman!! You don’t want to Miss Taika Gilyard, all the way from Haiti, as she renders a perfect rendition of Me Ma…Oh but it gets better, if you have never seen acting at its best, you must come see Trachel Green as Judith. Breathtaking is the only way to describe this natural talent who is a real time former combat veteran, now full time actor. You don’t want to miss this all-star cast. there is so much we haven’t told you. Don’t miss your INSPIRATION. That’s what we do, inspire and infuse hope just when you think there is none. Shatrece W. B. Buchanan is a writer, director, producer and founder/Pastor of Bryant-Buchanan Productions Inc. She is a retired Lt. Col., personal advisor to general officers, wounded warrior/ combat veteran, 5-time cancer survivor, daughter of Major General Michael B. Sherfield, inspirational speaker/program manager of programs hosting people like: Condoleeza Rice and Ambassador Andrew Young, Lily Ledbetter, Vickki Winans, and more. 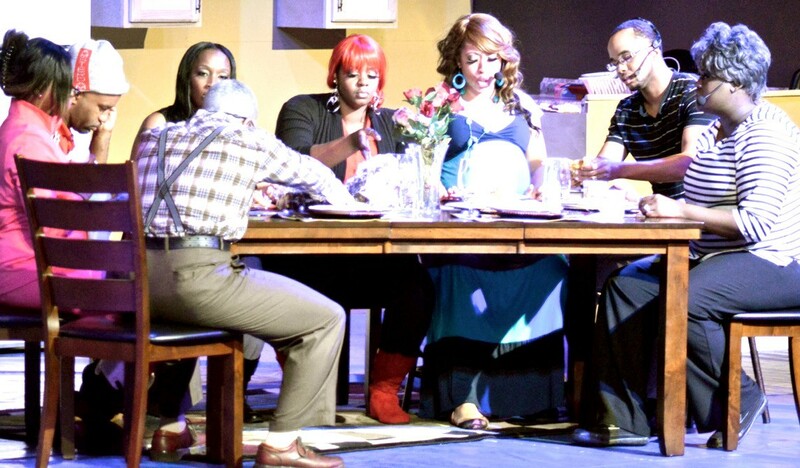 Come meet the dynamic cast of “When the Soul of A Woman Cries”, they are local to Savannah and Hinesville/ Fort Stewart. Go online at Savannahcivic.com and Purchase Tickets; or Call the box office at The Johnny Mercer Civic Center…. 912 651-6556 or 1800 351-7469.